1st butterflies of the year! 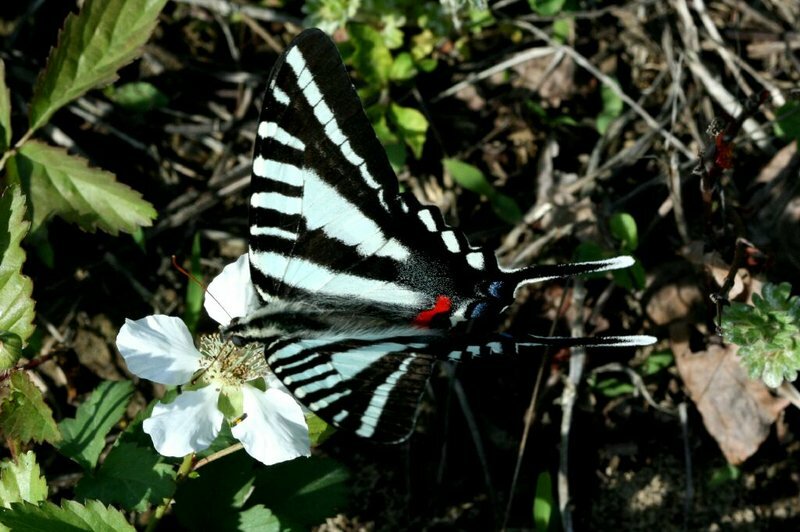 Sonoran Blue Colony located east of Sacramento about 40 miles to the historic gold-mining town of Auburn. Take Hwy 49 south to the bridge over the American River. Don’t cross the bridge but park in a wide area on Old Foresthill Road. The colony is on a rock wall along Old Foresthill Road. On 3/7/2010, I counted 30 Sonoran Blues at this locale! 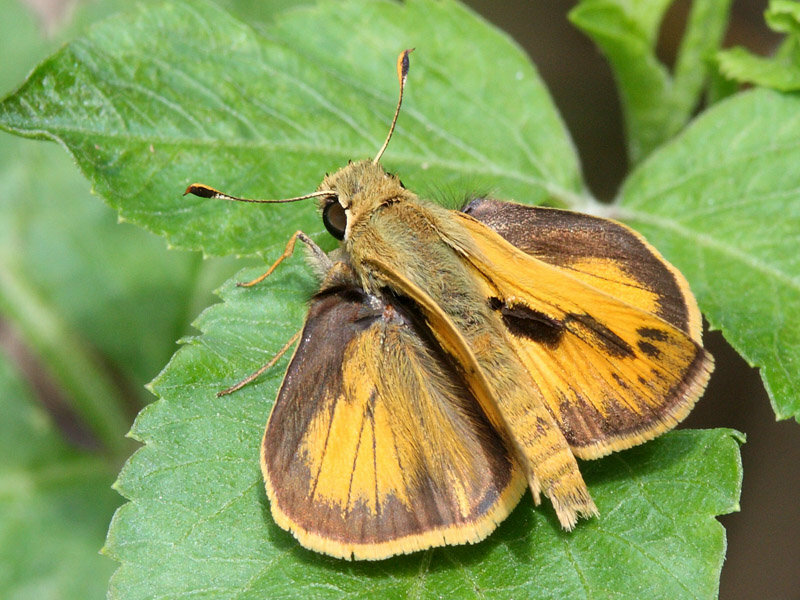 1st Fiery Skipper of the year. First butterfly of the season. 1st Sulphur of the year. 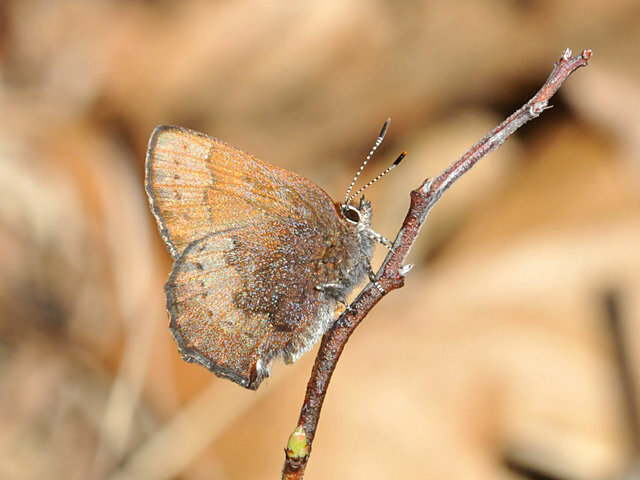 Gray Hairstreak is early at this location. 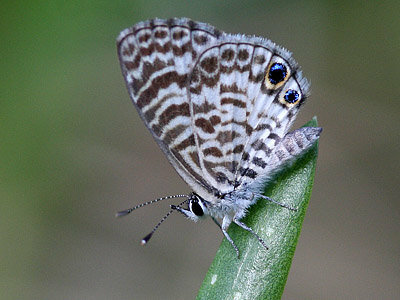 All are earliest sightings ever for this location. Earliest sighting ever at this location. 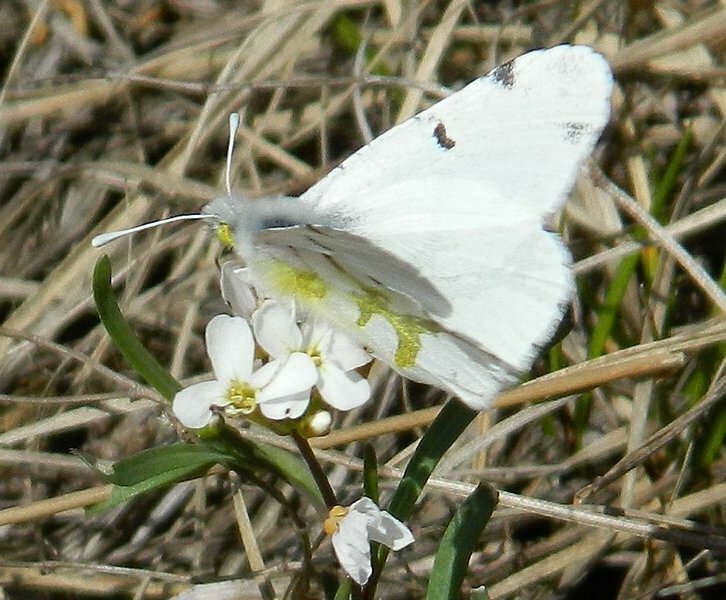 Falcate Orangetip was a fresh male. Also saw a Duskywing sp., probably a Juvenal’s Duskywing. 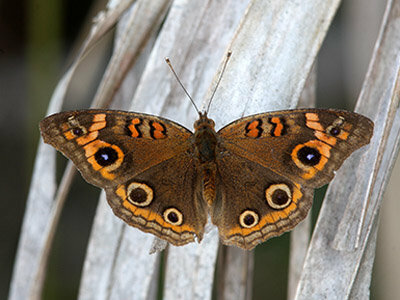 Brown Elfin is early for northern NJ. Both Elfins were early records for Wisconsin. Thanks to Mary Ann Friedman for directions. This is a full 3 months earlier than previous first of year date for the Phaon Crescent. 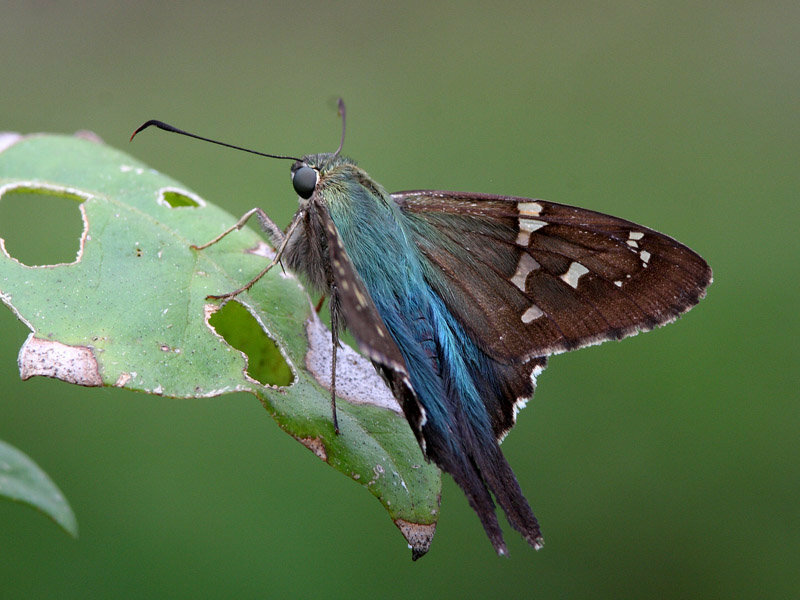 Southern Cloudywing was a 1st of the year. 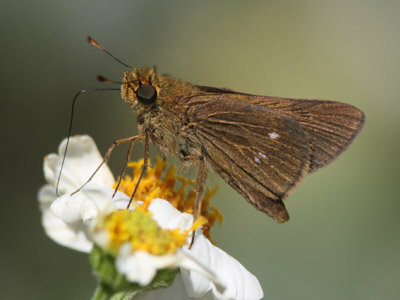 Yucca Giant-Skipper was observed laying eggs. 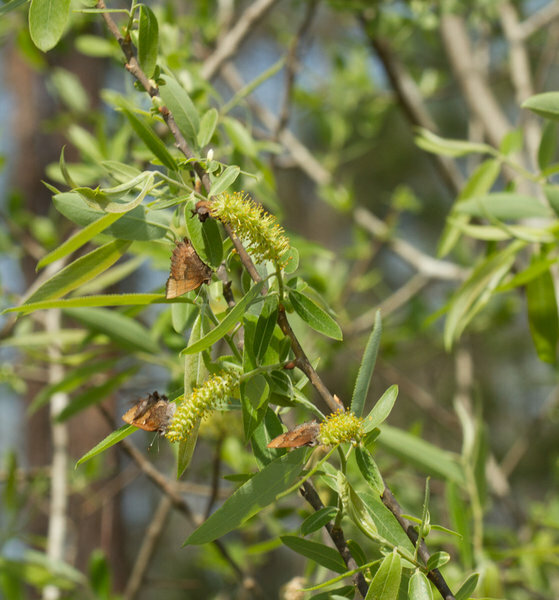 Rick Frederick & I saw these butterflies today. 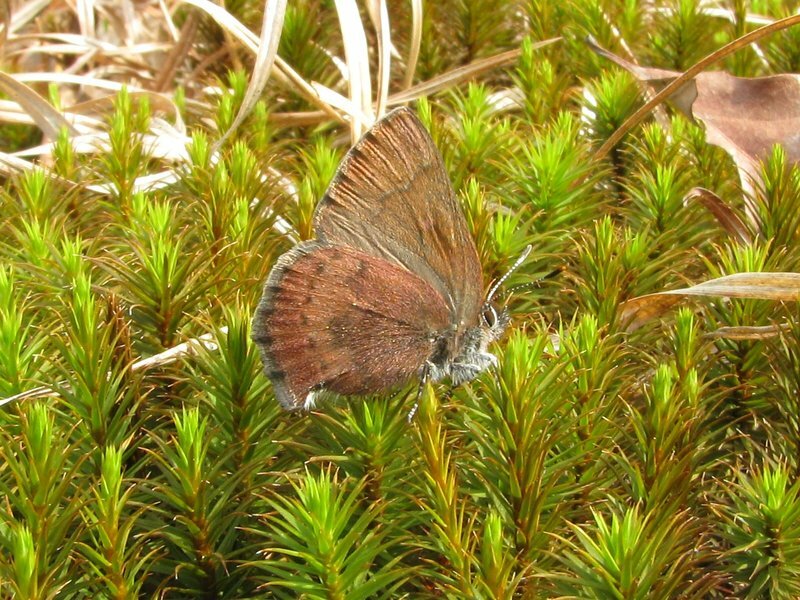 The White-M Hairstreak (photo) is uncommon here; Silver-Spotted Skipper was first of season, & early. 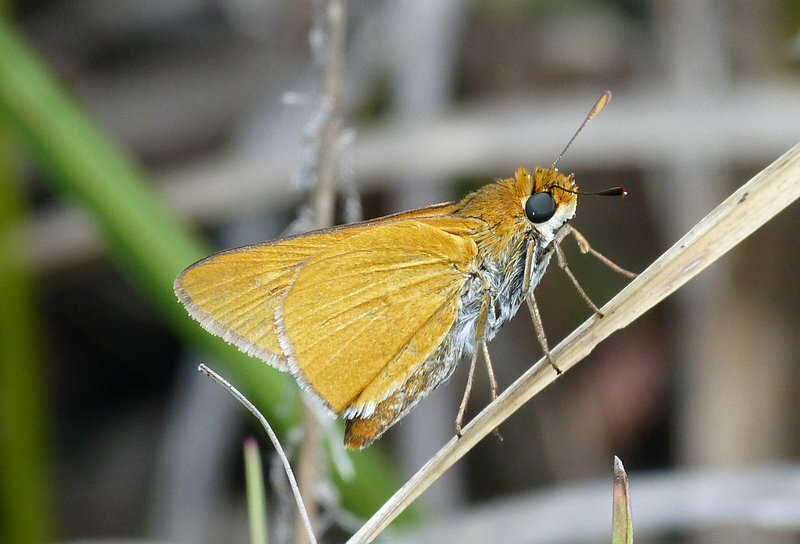 A new earliest date for Falcate Orangetip in NY state (previously, at same location, Mar. 30, 2002), by just one day. 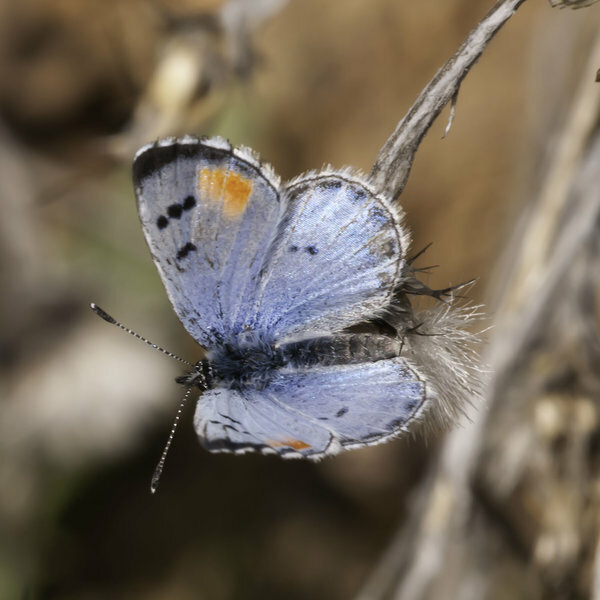 The numbers seen this day indicate they had emerged some days earlier however, likely due to the record heat in the entire region in the previous week or so. 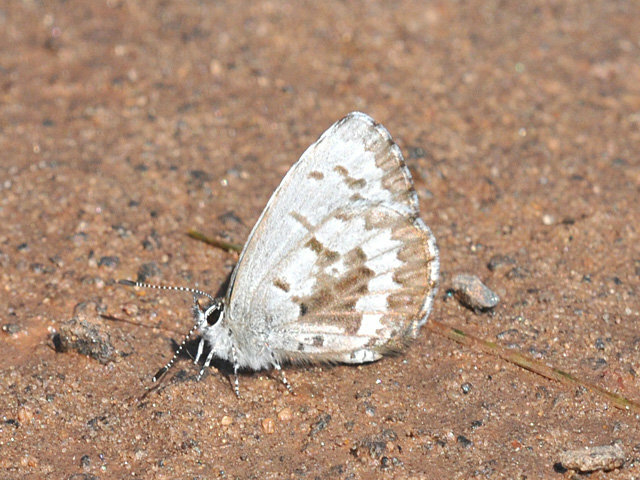 White M Hairstreak is rare at this location. New early date for Hoary Elfin in the state. 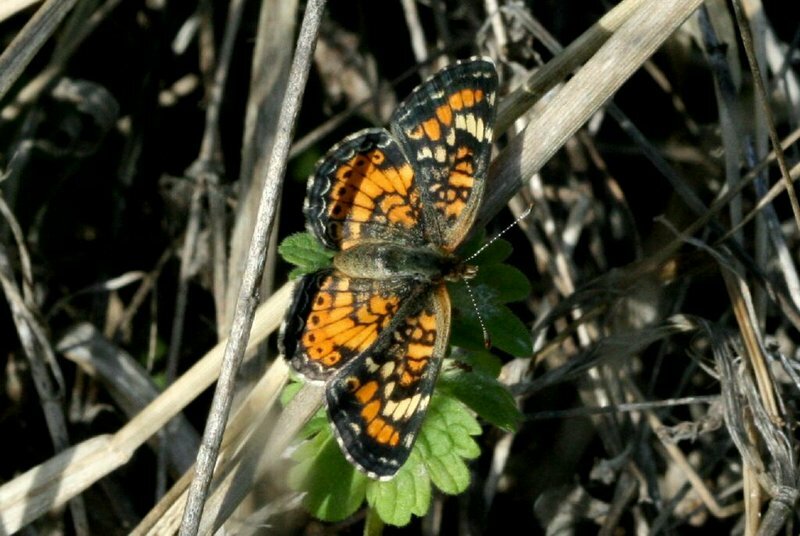 Early documentation of Gorgone Checkerspot at this location.